Hot and steamy, just how I like it. The jowls instantly begin salivating at the sight of fresh meat plopped right in front of me. Without wasting another moment, I rip into this juicy cut, exposing the warm, pink center that carnivores crave. Nothing like a thick cut of steak to satisfy the meat lusts. But, what should be paired with this salacious slab of bovine? Potatoes and vegetables is the rookie answer, but food isn’t what we seek here – it’s beer. The next time you hit the town for classy steak dinner with your bae, think about how to enhance the experience with proper food pairing techniques. 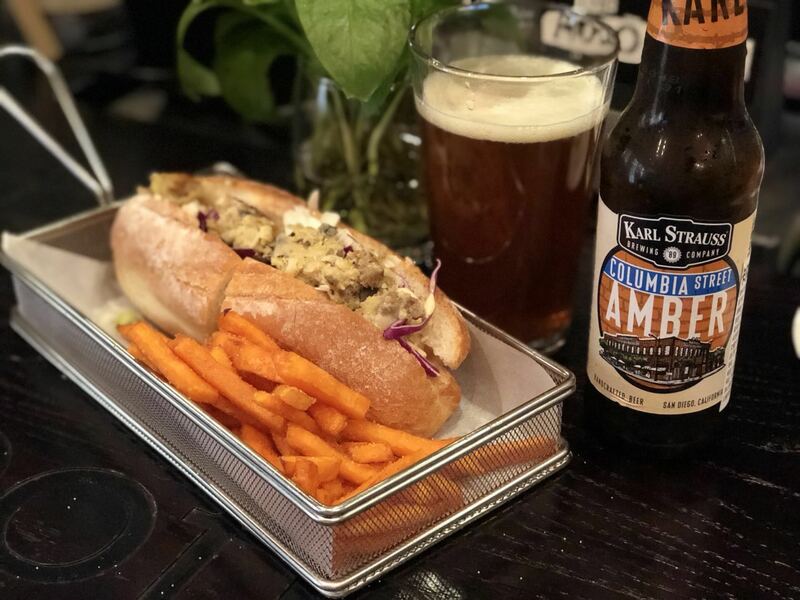 IPAs and lagers are all common beers that people drink with their meals, but one style is often neglected, left on the shelves and most often isn’t even a deliberation for your standard diner. The unsung hero of the dinner – the red ale. 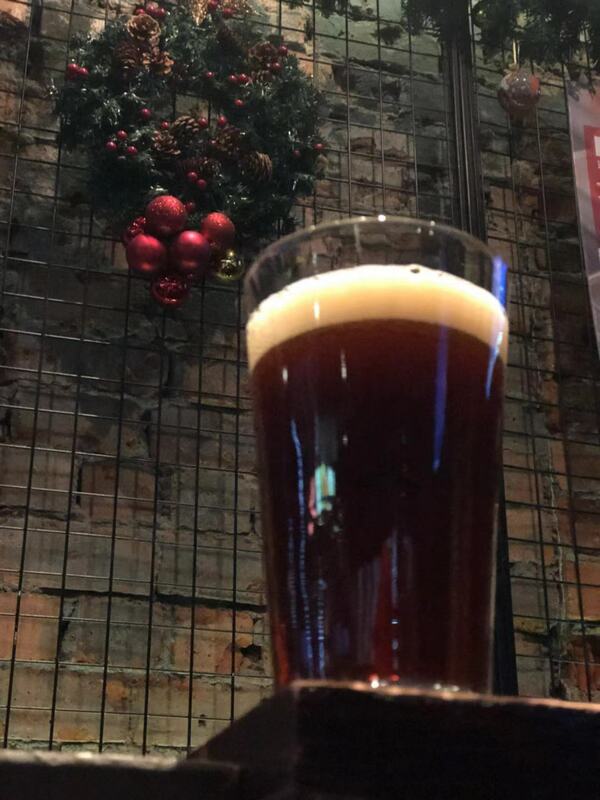 The first record of red ales comes from the Irish Red, a light and sessionable ale with malt-centric characteristics. ESB (or Extra Special Bitter) are also associated with this style. A staple of the British drinking scene, ESBs are not bitter in the sense of IPAs, but instead have grassy or earthy bitterness that accentuates the malts instead of hogging the flavor spotlight. At most, there is a bite that comes with red ales that is balanced out with smooth and sweet malt flavors. For those not looking for too much of a bitter bite, take a swig of an amber ale. The amber reference comes from the style of amber or crystal malts used to brew this beer, which give it a toffee, roasted or caramel flavor. These flavors are the ones that are perfect for food pairing, as they match flawlessly with nearly every kind of meat. Whether its red or amber, this underappreciated style is the one you certainly must have with your next meal. Grabbing a kebab? Red ale. Snacking on a sandwich? Red Ale. Pounding a burger? Amber Ale. Chomping on some fried chicken? Amber ale. Munching on hongshaorou? Amber ale. If it came from an animal, it pairs well with red/amber ale. But why does this work so well? When pairing food you have to think about the tongue. Long, bumpy and used for a plethora of purposes, the tongue is the final sense to engorge upon that plateful of dead animal. Yeah, this isn’t an article meant for vegetarians, so if there are any issues, go stick a cucumber in it. Back to the tongue, which is quite an amazing piece of work. Each area of the tongue can taste different flavors, and the taste receptors open up when presented with a new flavor, then they stay open to indulge in that flavor. If you mix up what you are consuming, the flavor receptors will become confused, and your mind will then regard the mix up as a bad taste. Ever brush your teeth and then drink orange juice? It’s that kind of idea. The minty toothpaste and citrusy orange juice are great by themselves, but taste awful when they are combined. This is why the first step of food and beer pairing is simple; pair food flavors with similar beer flavors. Sweet and smoky BBQ is perfect for this example. Grab an amber ale and drink it with a slab of ribs. The flavors from the barbecued meat enrich the caramel flavors from the beer, thus bringing together an experience that is better than just enjoying each piece by itself. If you’re based in Shanghai, Bourbon Cookhouse and Bulldog BBQ are some fantastic places to get good craft beer with BBQ meats. Also, bacon. If any elaboration on bacon is needed, then you have read too far into this article. Go crawl back to your broccoli burrow. 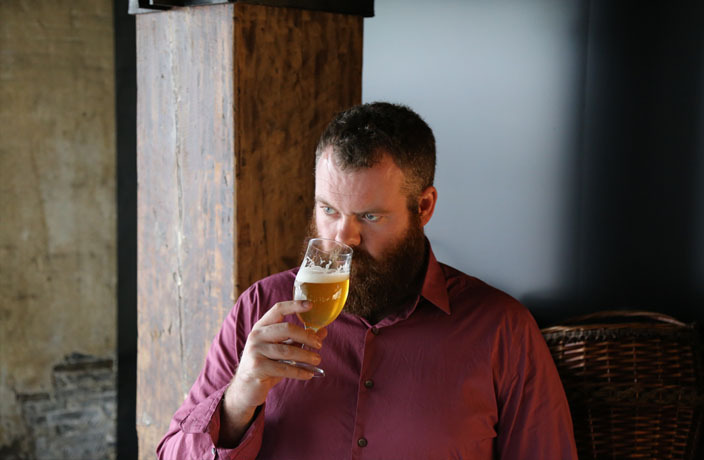 Food and beer pairing is an experience and we have only scratched the surface in this article. The combinations are endless and with brewers and chefs always improving their craft, the opportunity to taste better is never-ending. Karl Strauss Colombia Street Amber: A sweeter, caramel taste for those not looking for a bite with their red ale. Smoke and grilled meats for sure. BrewDog 5am Saint: Earthy bitterness with a strong toffee and roasted characteristic, pairs well with ribs and burgers.